World famous French Astro-Psychologist and celebrity Astrologist, Dr. Turi is a proficient author and a captivating speaker; his profound Universal Wisdom continues to astonish the enlightened and was recognized in the 2003 Marquis “Who’s Who in America.” Dr. Turi is the personal counselor of many celebrities, Ivana Trump, Peter Fonda, Gary Busey, Denis Haysbert, John Gray to name a few. 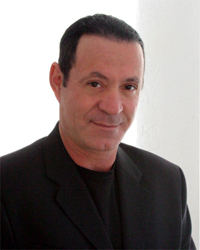 He is a favorite guest of George Noory on Coast-To-Coast AM radio and the BBC in London and has appeared in numerous television programs worldwide. He speaks of the cosmic face and celestial tools of the creator and warns the world with undeniable well documented undeniable predictions.